Don’t leave your biggest investment — your home — unprotected against one of nature’s most destructive forces — water. A major safety concern for homeowners today is protection from water/flooding. 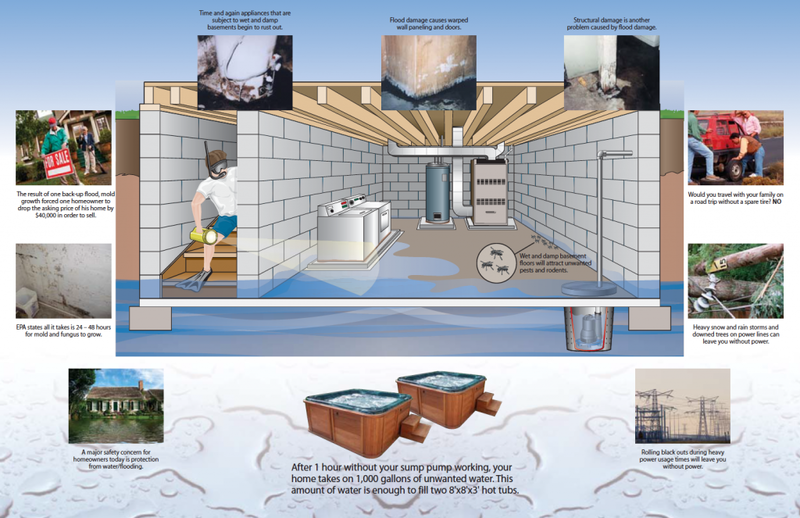 Water weakens foundations, rots timbers and damages appliances and furniture. Heavy snow and rain storms along with downed trees on power lines can leave you without power. Rolling black outs during heavy power usage times will leave you without power. Edison Utilities warns that you should never enter into a flooded basement to turn off power, but instead call your local fire department for assistance. The EPA states all it takes is 24 – 48 hours for mold and fungus to grow. Time and again appliances that are subject to wet and damp basements begin to rust out. 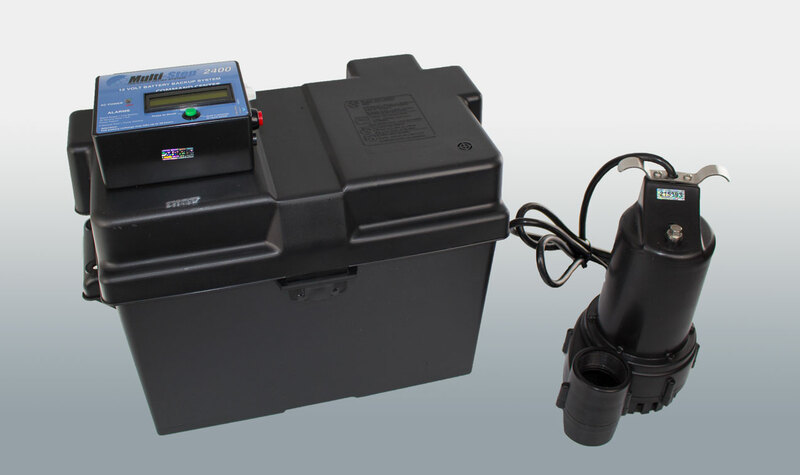 Just 5 minutes of lost power or a failed sump pump during a storm can result in 90 gallons of excess water in your home. 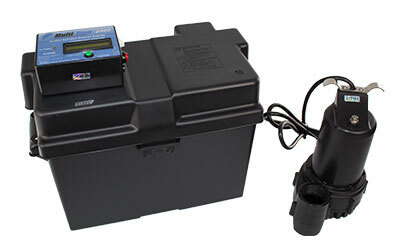 After 1 hour without your sump pump working, your home takes on 1,000 gallons of unwanted water. This amount of water is enough to fill two 8′ x 8′ x 3′ hot tubs.